posted: October 02, 2015 by: Dr. Joanne Carlson Tags: "Clinic Specials" "News"
Blue was adopted at the Animal hospital in Huntley in 2013. 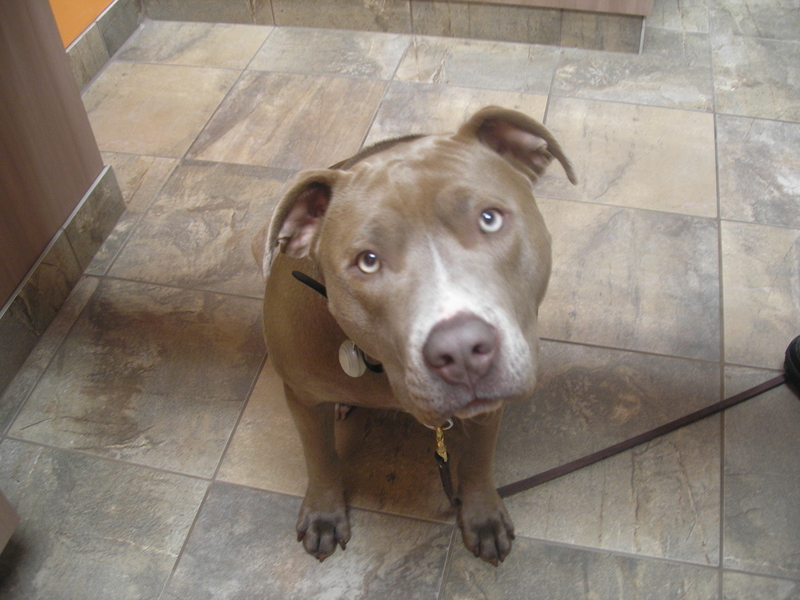 He did attend puppy classes, 3 week residency training, including off leash training. This was all done at the Closer Bond in Palatine. He is always ready to play. He gets along with all kinds of dogs. He, for some reason does not like turtles. The next step for Blue is to become a therapy dog since he loves people and giving kisses. We are so happy to have him be a part of our family!